The German conductor Jörg Faerber studied at the Hochschule für Musik in his native Stuttgart where he began his conducting career. In 1960 he founded the Württembergisches Kammerorchester Heilbronn (Württemberg Chamber Orchestra in Heilbronn), with which he remained for more than 40 years. Subsequently he established it as one the finest ensembles of its kind in Europe. He was especially distinguished as an interpreter of the Baroque repertoire. 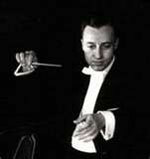 Faerber continued to tour with the orchestra into the early years of the 21st century.